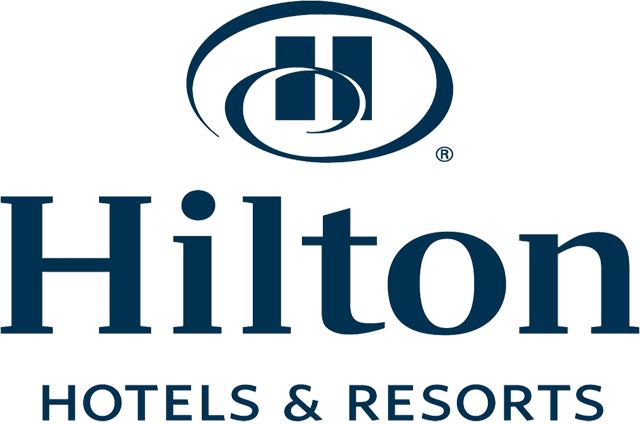 Economic trends are important, which is why conference planners often hire economists to interpret current economic conditions, and forecast what’s ahead. But these days, business leaders are being challenged by more than changing economic conditions. 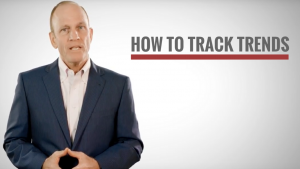 A multitude of powerful macro-trends — which Tucker calls the Driving Forces of Change — have the potential to create new winners and losers in their wake, and to spell either boom or doom depending on how rapidly you and your business respond to them. These Forces range from artificial intelligence and other rapidly evolving technologies, to workforce issues such as labor shortages and talent wars, all the way to the demographic “Age Waves” that will impact your workforce and alter what your customers will want tomorrow. This kickoff session (or longer program) serves as a powerful road map for leaders who want to thrive amidst the uncertainty and unpredictability of exponential change and sudden disruption. The powerful strategies revealed here show you how to spot emerging trends early — in time to shape an effective and bold response. 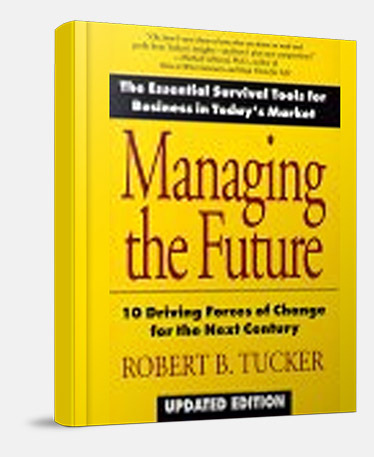 While economists confine themselves to economic trends, Tucker explores the consumer, political, technological, economic, regulatory, demographic, lifestyle and social trends that are most relevant to your industry. And he shows how to capitalize on the trends and use them as stepping stones to growth, profit and competitive advantage. 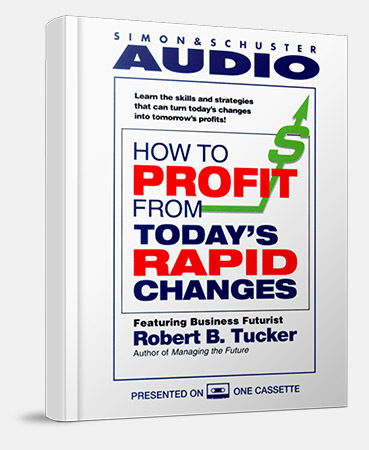 Tucker will leave you and your colleagues inspired and refreshed, with actionable “take-home” strategies and ideas to seize tomorrow’s opportunities today. • Know how to map out and implement a superior approach to inventing the future – one that will enable you and your firm to exploit new markets, win new customers, and grow revenue from new sources. • Be able to create a company-wide system to ensure that good ideas don’t get lost – or show up in the hands of competitors!